We are weeks away from marijuana legalization in Canada, as cannabis will be decriminalized under federal legislation on October 17. Many employers already anticipate that this will impact their workplaces. They may be imagining employees trying their luck on October 17 and coming to work under the influence, or not coming in at all. But leaders should set their sights on effects that are far greater. With marijuana legalization comes a new industry that will be hiring from the same talent pools – increasing competition for workers at all levels, especially entry-level. The cannabis business offers appealing employment opportunities and benefits, including spiking stocks. Employers in sectors with existing labour shortages should be concerned. Marijuana legalization also presents new workplace challenges. How will your management deal with employees who have marijuana prescriptions or addiction issues? Marijuana legalization will open the door to a new industry that will be competing for candidates from existing talent pools. Industries that are currently struggling to fill entry-level positions may find themselves facing an even greater labour shortage as cannabis businesses poach their staff. Sundial Growers Inc. is at the forefront of creating new job opportunities for young people. Sundial’s new facility in Olds, Alberta will create up to 300 new jobs from administration to cultivation. Able to pay higher-than-market wages, even for entry-level positions, Sundial is well-positioned to attract young employees who may have considered other industries such as retail or hospitality. This is a direct threat to these other industries who recruit from the same talent pool. Jurisdictions with legalized marijuana are already feeling the impact of increased talent competition. Restaurants in Denver, Colorado began noticing increased turnover in their wait staff when marijuana was legalized there. Denver cannabis storefronts are able to offer young workers higher wages for less demanding work and better hours. These appealing conditions seemed to be too good to resist for restaurant employees. Restaurants here in the Lower Mainland should take heed. There is already labour shortage in this sector and additional competition for talent is not good news. Other industries with shortages such as senior’s health care and retail will likely be affected too. This is a good time to work on developing a solid recruitment and retention strategy. This may require making a critical evaluation of your status quo and see what changes you should implement to be a more attractive employer to employees at all levels. Begin by interviewing employees to find out what they desire from their employers. It may be more work/life balance-friendly hours, or other non-compensatory benefits that will be relatively inexpensive for employers to implement. Business owners should also consider developing a marketing strategy that promotes them as an employer of choice. Incorporate various channels including social media and sponsorship opportunities to help raise awareness and build brand recognition. Employee referral programs can have a two-pronged benefit: they bring in quality candidates and they engage current employees by casting them as ambassadors of your organization. By encouraging your employees to refer their friends, you are implicitly asking them to invest in your company. They will feel a stronger sense of inclusion and therefore more likely to stay. Employers in all sectors should be prepared to adapt their workplaces so existing employees don’t go looking for greener pastures. In addition to recruitment and retention concerns, employers should be prepared for marijuana legalization to potentially affect workplace behaviours. Employers should clearly document expectations about substance use in the workplace in a well-constructed policy. We recommend communicating your substance use/abuse policy with employees before October 17. You may even wish to hold an in-person session to review your policy and procedures. Specify cannabis use in addition to alcohol and other drug use. Explicitly state that drug use and intoxication will not be tolerated in the in the workplace. It may seem obvious, but it’s better not to leave any confusion on the matter, especially as some employees may be tempted to interpret “legalization” as a pass for use wherever and whenever they want. State consequences for using cannabis at work and the disciplinary steps that will be taken. We recommend stating that employees found under the influence will be sent home and subsequent discipline may follow after an investigation is conducted. Detail your approach to substance addiction. For example, you could state that you view drug addiction and alcoholism as an illness requiring treatment. Employees who present with this illness will be required to seek treatment. Include information about sick time eligibility, any Employee Assistance Plans that may be available, and return to work requirements. Include a statement about employees who have a marijuana prescription and indicate that those cases will be dealt with as a medical accommodation to be addressed under your Duty to Accommodate policy. 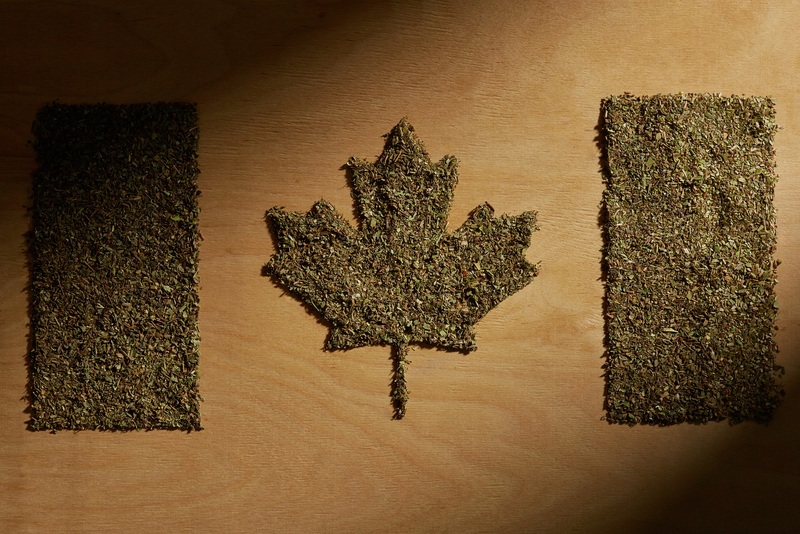 We hope that this article has helped to shed more light on the upcoming side effects of Marijuana legalization to Canadian employers. If you have any questions or would like advice about your organization’s preparedness for legalization, please contact us today at info@pivothrservices.ca.